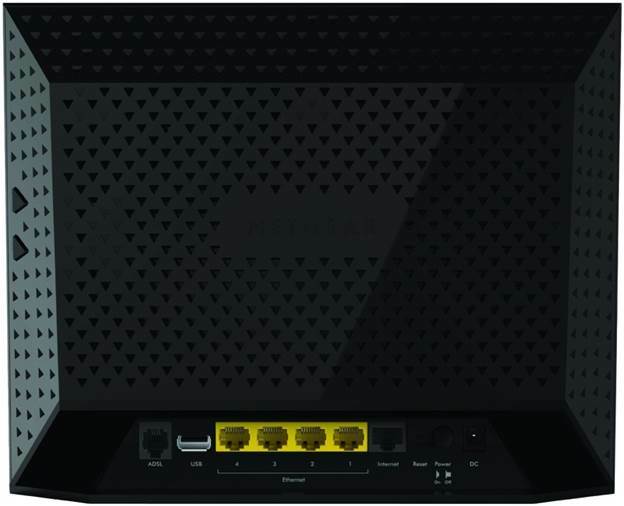 The WZR-1166DHP is a simultaneous dual-band router with both 2.4GHz 802.11n and 5GHz 802.11ac networks. It's a standard model that uses Ethernet to connect to the internet, but it doesn’t have built-in ADSL options. It has four Gigabit Ethernet ports and a USB 3.0 port for storage or printer sharing, and is the only device in this test with a USB eject button to safely remove storage. Its wireless performance was most competitive through the laptop’s built-in Wi-Fi. The 2.4GHz speed of 36.1Mbps at 10m only managed seventh place in our tests. However, connecting to the 5GHz network, it managed 87Mbps at 10m, which was the fastest connection to the laptop in our tests. Most of the other routers had their performance boosted by using a compatible dongle, but Buffalo’s USB dongle made little difference to the laptop connection, which meant it dropped to 10th place in our table. Although its 5GHz speed increased to 109.7Mbps, it still dropped to seventh fastest. 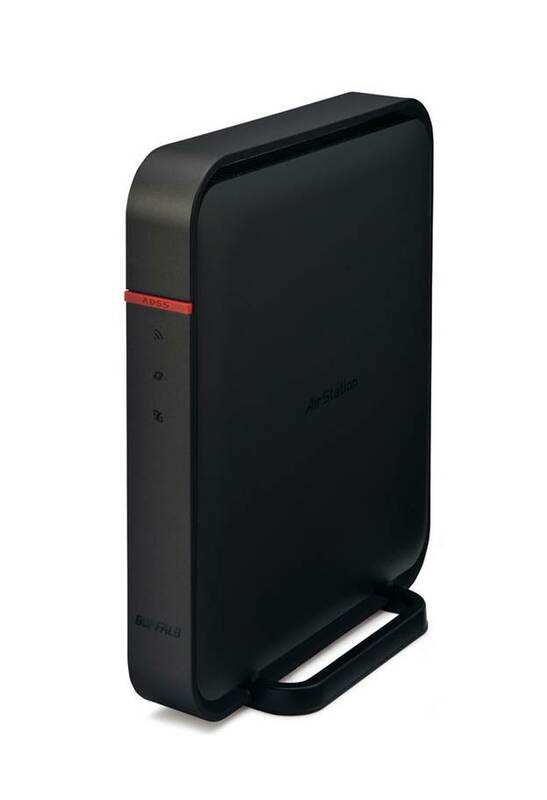 This Buffalo router is only slightly more expensive than the Tenda W1800R but it’s a better designed all-round package. However, it only outperformed the Tenda over the 5GHz network when connected to our laptop’s built-in Wi-Fi adapter. If you’ve got an ADSL internet connection, you might be despairing at the number of routers that don’t have the required socket to connect directly to your phone line. 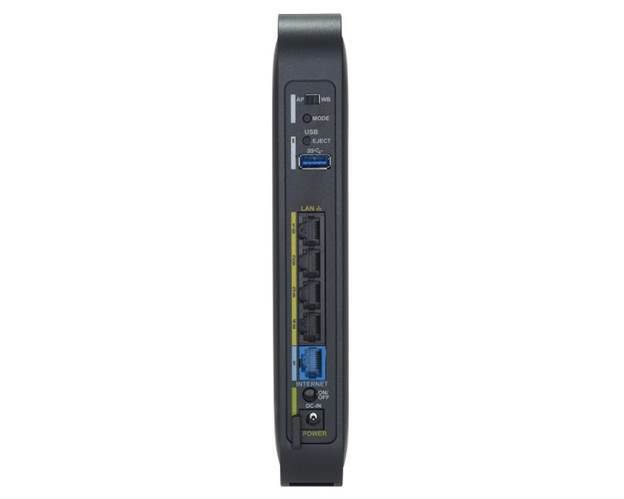 However, the D6200 is fully equipped and can work with both ADSL and cable (Ethernet) connections, without the need for a modem. It's also got four Ethernet ports and a USB port. The router is secure by default but its interface is a little disjointed, sending you out of the router to set up features such as parental controls. The router performed best connecting to the laptop’s built-in Wi-Fi on the 2.4GHz network, where it was second fastest with a speed of 45.9Mbps at 10m. 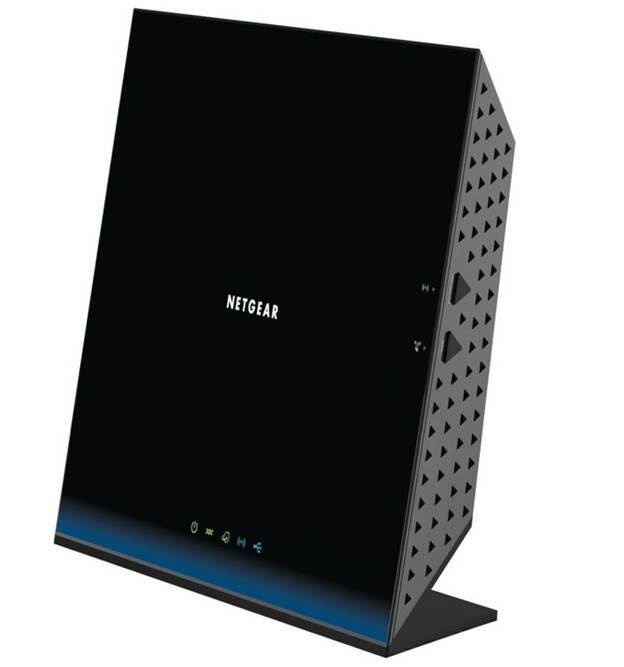 It was slightly faster using Netgear’s own A6100 USB adapter, getting to 47.6Mbps at 10m, but it failed to connect at 20m and other routers fared better, leaving the Netgear in seventh place. It was consistently sixth in the 5GHz tests, with 74.2Mbps at 10m on the laptop, and 135.9Mbps with its own dongle. The flexible connection options and good performance are in the D6200’s favor, but its interface is a little disjointed, particularly when it comes to optional elements such as content filtering.